The Mercedes-Benz Museum is celebrating the occasion of the Porsche Museum’s tenth anniversary on 31 January 2019 with an invitation: we are offering Porsche employees free admission to the Mercedes-Benz Museum for ten days until 10 February 2019. Since 2016, the two museums have been collaborating with discounted admission rates. 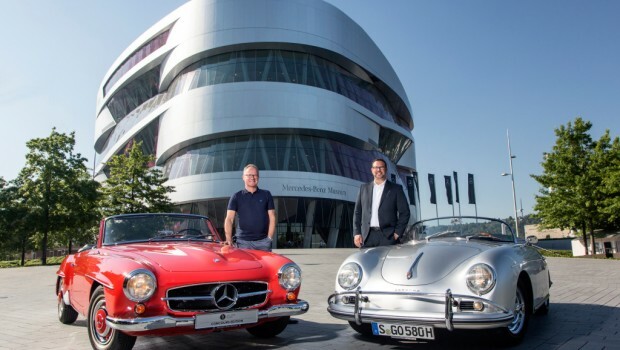 There’s even a Porsche 550 Spyder in the Mercedes-Benz Museum’s racing corner.